You are here: Home / Weekly Columns / Opinion / Best Chromebooks for 2019. (ThyBlackMan.com) When you’re in the market for a new Chromebook, so many products can seem unnecessarily overpriced. A simple search on Google for best Chromebooks can bring you many product listings. But before you buy a new Chromebook, there are some things you may not notice because manufacturers and resellers often don’t tell you what you should be looking for. For example, many Chromebook manufacturers simply tell you that their Chromebook runs on Intel i5 or i7 processor. Many people still believe that the i7 processors are always better than the i5 processors in terms of performance. Did you know that it is not always true, especially in the case of Chromebooks and netbook PCs? 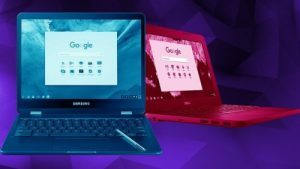 In this article, we have listed the best Chromebooks you can buy in 2019. We have also highlighted the reasons and some tips to choose the best Chromebook that meets your specific needs. Use this guide to judge these products based on the information and tips we’ve provided. It will help you make a smart decision. The biggest advantage of buying Google Pixelbook is the combination of hardware and software that come from the same company. Why we appreciate this combination because Google has designed this product and has written the software that powers this PC. Some more interesting facts about the Google Pixelbook is that it supports Google Assistant, it works with the latest Pixelbook Pen, and it has 360-degree hinges so you can use it like a tablet or a canvas for drawing and design related works. How powerful is Google’s Pixelbook? In terms of processing power, the google Pixelbook won’t disappoint as it runs on the 7th generation Intel processors. You can configure the Chromebook with either an i5 or an i7 processor. The memory (RAM) options are 8GB and 16GB, with the storage capacity of 128GB, 256GB or 512GB SSD. As far as the battery life is concerned, you can expect around 7-8 hours of battery life after a full charge, however, the company says the laptop’s battery can last for up to 10 hours. The starting price of Google Pixelbook is $999 and it goes up to $1,649 if you configure it with an i7 chip. You may find some great deals on Google Pixelbook. You’ve read that the Google Pixelbook has 360-degree hinges so that you can use it as a laptop and as a tablet, but the HP Chromebook X2 can do even more. It comes with a detachable keyboard and magnetic hinge, meaning that it lets you do whatever you want to without having to carry a keyboard all the time. One more interesting fact about the HP Chromebook X2 is that it comes with a stylus and keyboard, so you don’t have to buy these accessories separately. How powerful is the HP Chromebook X2? Equipped with an Intel Core m3-7Y30 chip, the HP Chromebook X2 supports 4GB of RAM and 32GB of storage which you can expand by using SD card. With an impressive 2400 x 1600 display resolution, the laptop offers 12 hours of battery life after a full charge. The HP Chromebook X2 is perfect for those looking for a budget Chromebook. If you’re in the market for the best Chromebook, don’t forget to check the Lenovo Yoga Chromebook C630. It is packed with powerful hardware and a battery that doesn’t disappoint. The Yoga C630 is probably the fastest Chromebook available in the market, thanks to its laptop-grade Intel processor. At the beginning of this post, we mentioned that an i5 processor on a Chromebook can perform better than an i7 chip. So, here’s the proof. The Lenovo Yoga Chromebook C630 comes with an Intel Core i5-8250U chip. Now the Intel U series vs V series comparison can tell you exactly why you should be careful when choosing a Chromebook. How powerful is the Lenovo Yoga Chromebook C630? Combine the power of Chrome OS with the Intel Core i5 processor and 8GB of RAM, and you will see no lag even if you are working on 20 tabs on Chrome browser. With that said, The Yoga Chromebook C630 also performs very well when it plays 4K videos. If you’ve been looking for a Chromebook that can do everything you want it to do, the Chromebook C630 from Lenovo is the answer. Shopping for a Chromebook is more than just reading spec sheets. Whether you want a budget 2-in-1, a powerful beast, or for media consumption and light gaming, focus on your needs first and then decide.